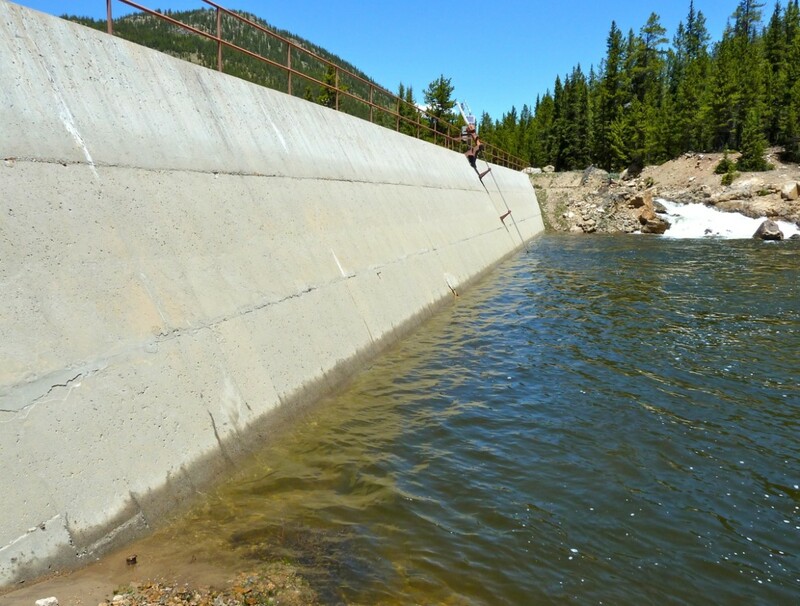 The dam across the main stem of the upper Roaring Fork that diverts water from Lost Man Creek and the Fork into a tunnel under Green Mountain and, eventually, into Grizzly Reservoir and the tunnel under Independence Pass to the Arkansas River basin. Some of the water owned by Aurora will be bypased at this point to run down the Fork. A way to look at any new transmountain diversions in Colorado has been dubbed “Colorado’s Conceptual Framework” in the Colorado Water Plan after previously being called “the seven points” and the “draft conceptual agreement” as it has evolved over the past two years. It’s a lofty title for a framework that major water providers on the east slope are adamant does not carry any force of law, rule, or policy, and which still divides water stakeholders in Colorado. But no matter what it is called the framework is, despite challenges, in fact included in the first-ever Colorado Water Plan, which was developed by the Colorado Water Conservation Board and presented to the governor on Nov. 19. A number of Front Range entities told the CWCB that it should not adopt the conceptual framework or include it in the water plan. “Even with wording changes, the basin roundtables recommend that the CWCB not adopt the framework as it is a work in progress that may be modified as dialogue continues,” wrote the S. Platte and Metro basin roundtables, two of nine regional water-supply groups that meet under the auspices of the CWCB, in a combined Sept. 17 comment letter. 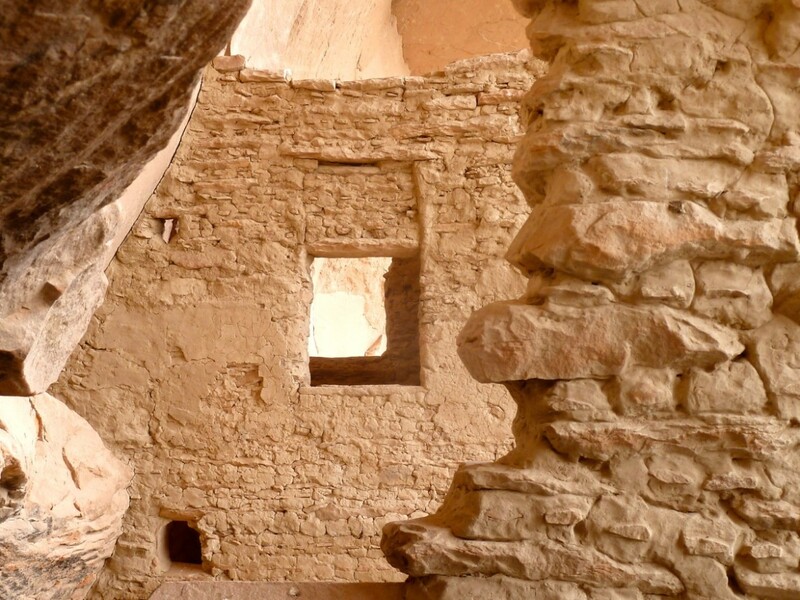 Some of the framework in the River House on the San Juan River. The seven principles include concepts such as making sure a new transmountain diversion, or TMD, does not increase the likelihood of a compact call from states in the lower Colorado River basin, ensuring the eastern slope has other sources of water in dry years, and establishing guidelines for when diversions may need to be curtailed to keep enough water in Lake Powell. The framework also says new diversions should not limit Western Slope development, that it’s important to increase both municipal and agricultural water-conservation efforts in Colorado, and that steps should be taken repair damaged river ecosystems with or without new diversions. The framework was drafted and adopted by the members of the Interbasin Compact Committee, which includes two representatives from each of the state’s nine basin roundtables, six gubernatorial appointees, two legislative appointees, and the director of compact negotiations on the IBCC. The group’s “main charge is to work with the basin roundtables to develop and ratify cross-basin agreements,” the water plan says. 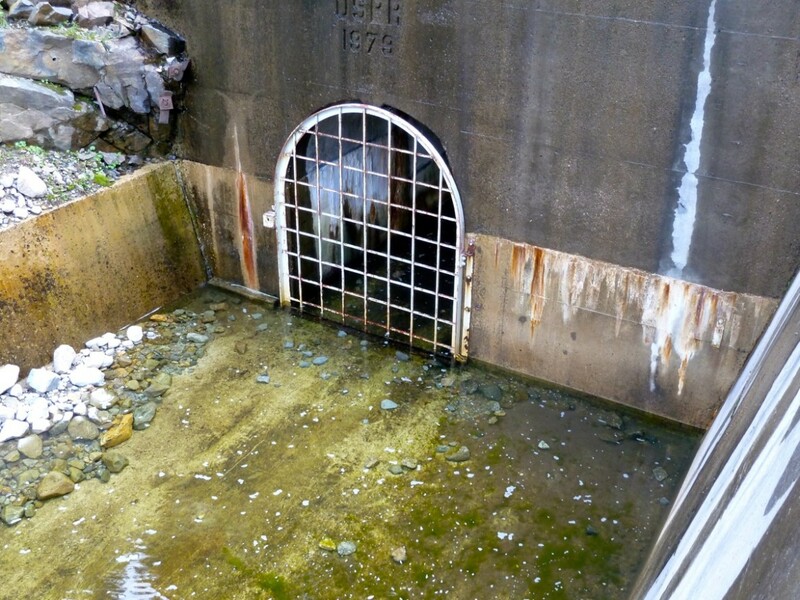 The end of the tunnel that brings water from Hunter Creek to the Fryingpan River drainage, and then on to the eastern slope. The water plan describes both the conceptual framework and the lingering geographic differences of opinion about future transmountain diversions. “Generally, eastern slope roundtables identify the need for a balanced program to preserve the option of future development of Colorado River System water,” the plan says. “Western Slope roundtables express concern regarding the impact on future development on the Western Slope, as well as the potential for overdevelopment related to both a Colorado River compact deficit and critical levels for system reservoir storage, such as the minimum storage level necessary to reliably produce hydroelectric power at Glen Canyon Dam,” the plan states. The water plan also finds that the Colorado River basin roundtable, which meets regularly in Glenwood Springs, and the S. Platte and Metro roundtables, which meet in Longmont and Denver, respectively, have the “greatest divergence” when it comes to the idea of more TMDs. “In its BIP, the Colorado Basin Roundtable points out the variability in hydrology, stating that TMDs ‘should be the last “tool” considered as a water supply solution, once the many and complex questions are addressed over hydrology,'” the plan says. “Both viewpoints recognize the constraints of water availability and Colorado water law, but differ in their beliefs about whether such a project fits into water supply planning,” the plan concludes. The members of the Front Range Water Council also have made it clear to the CWCB that they don’t see the framework as binding. The Front Range Water Council includes Denver Water, Aurora Water, Colorado Springs Utilities, Northern Water, the Southeastern Colorado Water Conservancy District, the Twin Lakes Reservoir and Canal Co., and the Board of Water Works of Pueblo. 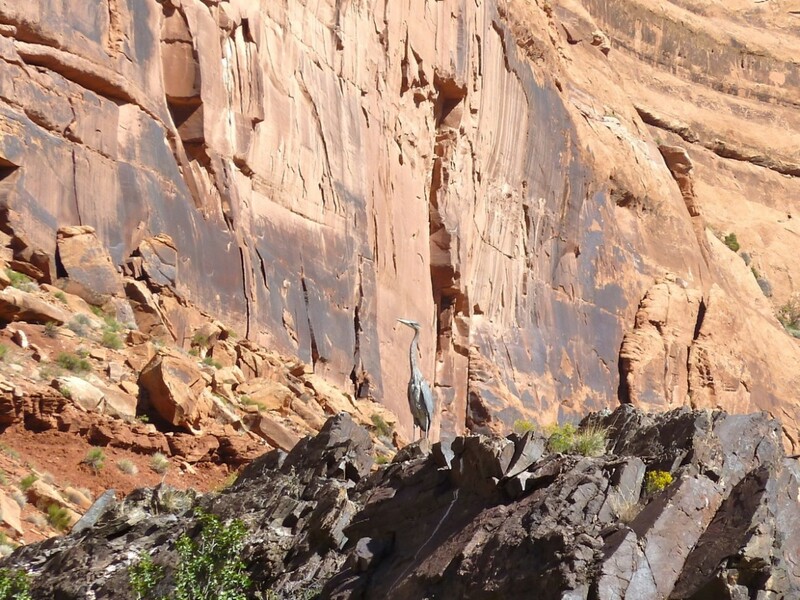 A heron at rest along the bank of the Colorado River. The concept of “environmental resiliency” is also laid out in the framework and is done so on terms that are as environmentally staunch as any other statement in the water plan. 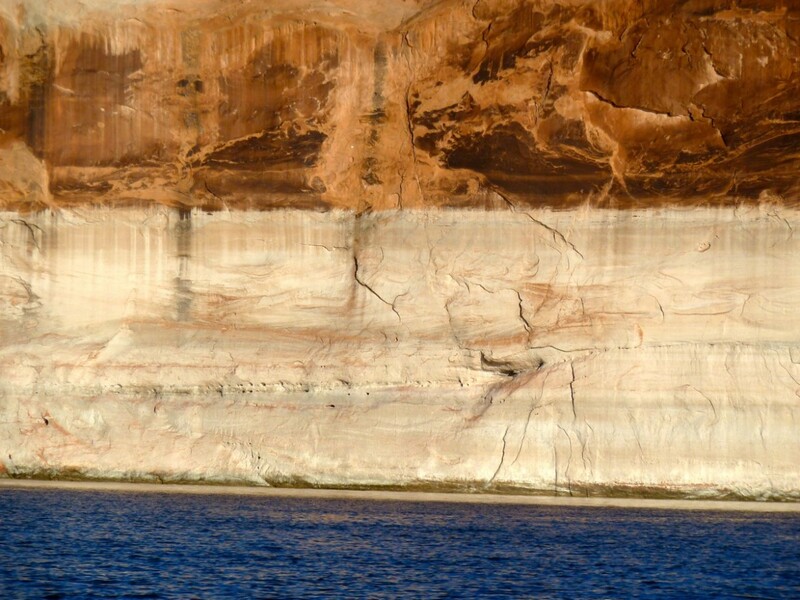 Upper Lake Powell, October 2014. Principle 1: Eastern slope water providers are not looking for firm yield from a new transmountain diversion (TMD) and the project proponent would accept hydrologic risk for that project. Principle 2: A new TMD would be used conjunctively with eastern slope supplies, such as interruptible supply agreements, Denver basin aquifer resources, carry-over storage, terminal storage, drought restriction savings, and other non-Western Slope water sources. Principle 3: In order to manage when a new TMD would be able to divert, triggers are needed. Triggers are operating parameters that determine when and how much water a potential new TMD could divert, based upon predetermined conditions within the Colorado River system. Principle 4: A collaborative program that protects against involuntary curtailment is needed for existing uses and some reasonable increment of future development in the Colorado River system, but it will not cover a new TMD. Principle 5: Future Western Slope needs should be accommodated as part of a new TMD project. Principle 6: Colorado will continue its commitment to improve conservation and reuse. Principle 7: Environmental resiliency and recreational needs must be addressed both before and conjunctively with a new TMD. 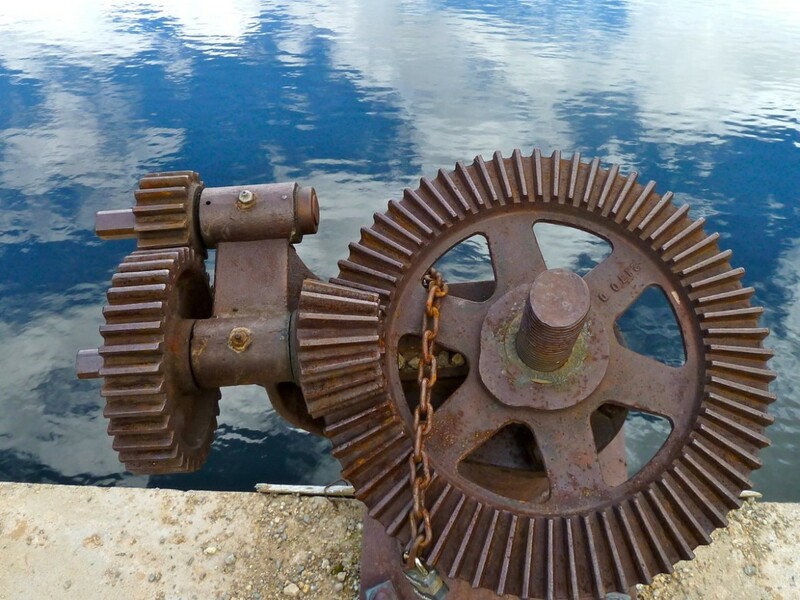 Gears on the top of the dam that forms Lost Man Reservoir, part of the diversion system on the upper Roaring Fork River headwaters. Editor’s note: Aspen Journalism is collaborating with The Aspen Times and the Glenwood Springs Post Independent on coverage of rivers and water.